Self proclaimed as the Standard Railroad of the World, the Pennsylvania Railroad or "Pennsy" was widely known for its blue ribbon passenger service, GG-1 electric locomotives, landmark locations like Horse Shoe curve and Rockville Bridge and its well groomed high speed multi track mainline which was referred to as The Broadway. But the Pennsy also had a vast array of branch and secondary lines to service industries in many smaller towns and communities which were rarely photographed. 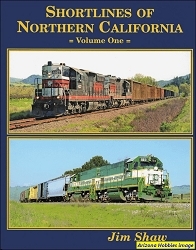 In this program, we'll venture off the beaten main line tracks and chase general freight, ore and coal trains from Williamsport to Mount Carmel, Pennsylvania in the mid 1950s through the early 1960s. John Pechulis Media, Narrated with commentary by Mike Bednar, Color and B&W video; approximately 46 minutes runtime.